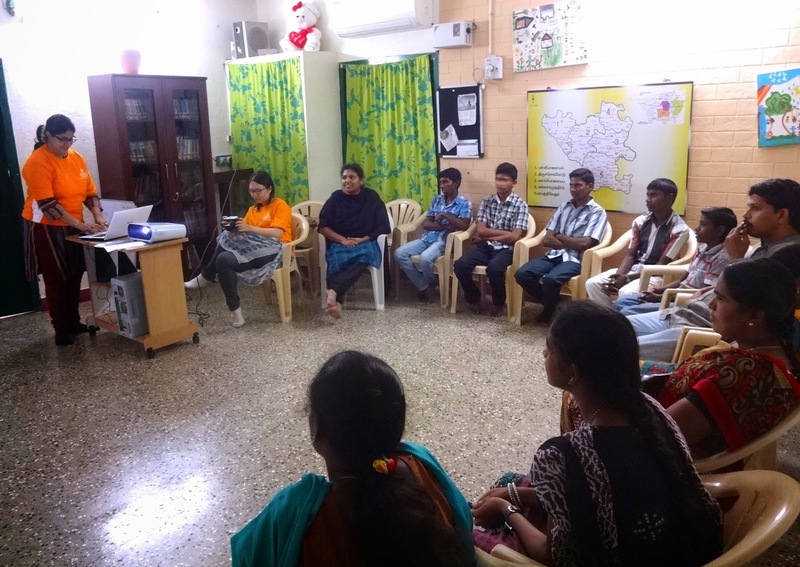 SIF volunteer Ms. Amrita Madan’s, training on "Communication and Story Telling" was more thought provoking and also an opportunity for us to assess areas where we need to improve in our current communication practices. Buds of Christ staff team, Buds Leaders and representatives from other NGOs in the district learnt the need to communicate, communication strategies, and how communication need to be concise, focussed and consistent to bring a lasting impact. The workshop started with Mother Teresa’s quote “Kind words can be short and easy to speak, but their echoes are truly endless”. One of the participant expressed that he learnt how the strategy of CAR (Challenge + Action + Result) in communication can make the stories a successful communication. And for BUDS LEADERS (youth of Buds of Christ), it was an exciting moment to learn basics of story writing from their own life experiences. A simple example of writing about a pen brought in the creativity of the young people in making the sentences with an emotional attachment. Following that note the young peer leaders have set their minds for a week -time unleash their experiences into a story script.